About The Nischwitz Group, Jeff and Their Results! Click here to explore having Jeff bring inspiration, action, impact and results to your organization or event! “Jeff's presentations and workshop at our recent conference in Athens, Greece were exceptional. He managed to challenge our current views on leadership within accounting in an engaging, insightful and humorous way. His no-nonsense approach and excellent story telling made our audience take note and I'm sure they will be implementing his excellent advice. We would definitely recommend Jeff to anyone who wants a speaker who can challenge your thinking and keep your audience captivated. He is a 5-star speaker." "Just wanted to say how inspiring I found your presentation yesterday. I have come back with lots of ideas, but perhaps more importantly a proper grounding for some of the things that I do that seem to work and this has given me confidence to push it further. When you came on stage with your jacket and boots I said to my managing partner this guy will need to have some charisma and talent to pull this off. But from the first minute there was ever any doubt on that score. Thanks so much. Delighted that you shared your experiences and wisdom with us yesterday. Keep shaking it up!" "Jeff's presentation to our organization will leave a lasting impact for years to come. Jeff understands and effectively teaches that sincere communication is key to all relationships. He provides you with the understanding and the necessary steps to enact positive change in your life. You will be moved by the effect Jeff will have on you and your workplace. I cannot thank Jeff enough for providing our organization with this type of insight. It has already made a tremendous impact on our team." "Over the years, I've had the opportunity to hear some of the best speakers of our time, such as Zig Ziglar, Tom Hopkins, Tony Robins. Jeff Nischwitz 's recent program was one of the best I have ever heard. That's right – one of the best I’ve ever heard. His delivery was engaging and inspiring, but more importantly his message was from the heart and delivered to the heart. It reminded me to take a different look at my life, priorities and choices, and inspired me to shift gears in many areas. If you're looking for someone to deliver an inspirational message with impact and tangible actions, I encourage you to invite Jeff to help you shake things up for the better." "You challenged the company with the term 'changeitude' – embracing that it's better to purposely create change instead of being a victim of it. I've since heard several conversations that have started with 'imagine if' and could see the ideas spinning in their head. It's exciting to hear people who previously only focused on the negative now recognize the importance of leading change. You've energized us with the possibility of new possibilities! I saw the proverbial lightbulb go on for many as they identified with your examples about embracing change, so thank you for that! My new motto for life is 'the magic only happens when you shake it up.'" Amber Ho-Lung, Senior Human Resources Generalist, MCPc, Inc.
“Jeff facilitated a dynamic and impactful training session on culture design and leader shifts for our leadership team. He customized the content to our needs and perfectly aligned it with our team and organizational objectives. After the session, many participants are asking 'when is Jeff coming back?' and they began practicing the power questions and tools he taught us to get associate feedback and engagement." "Jeff Nischwitz was a super presenter! I got a lot out of his presentation!"" "Jeff is the perfect example of practice makes perfect. The 'buzz' has been around the speaking industry how Jeff is just a fabulous speaker. Well, everyone was right. I just heard him speak the other day, and it really made me mad! Why you ask? As I was getting comfortable in my speaking career, this guy has to raise the bar and now we all have to up our 'speaking abilities' to keep up with him. Thanks Jeff, now I have to better myself because of you, and just when I was enjoying kicking back..... Good luck with everything you do for your clients." "I had a secret. A secret so shameful I could never in my wildest dreams imagine sharing with anyone—not even my own husband. Then it hit me like a ton of bricks—a force I never saw coming. I met with Jeff Nischwitz and, being the intuitive, master-questioner that he is, Jeff sensed something during our talk. He began asking me the questions I was afraid to ask myself. Questions I wasn’t even aware I should be asking, or maybe I was aware—but just scared to death of the answers. Jeff helped me realize that my old stories were preventing me from living a life of authenticity. And that if I really wanted to connect with people, I needed to challenge those stories and share my secret. Thank you Jeff…from the bottom of my heart." "VIP was looking to make a radical change in our management approach. We knew we needed assistance but were not looking for a traditional 'team building' retreat. Jeff was willing to take the time on the front end to understand the concerns, ask great questions and get feedback from all of the management team. That allowed us to maximize the value of the meeting. Jeff does not come to the process with a fixed agenda; rather he taps into the group and their energy and then makes changes along the way to make sure that the desired outcomes occur. Jeff’s open honest approach and his willingness to share stories about other companies, teams, and their challenges brought humor to the process and encouraged others to be honest and open. Jeff gave us concrete next steps, and helped us to define how we would determine and measure our success moving forward. I believe a true paradigm shift occurred during our meeting and there is no better outcome that I could for." "Jeff has progressed from a networking guru to one of the country's top relationship experts. His philosophy hits home on every level, from work to family. Following Jeff's advice will make you change the way you do business. His dynamic delivery and humorous approach to relationships can't be heard enough." "I recommend Jeff to any business looking to create a positive change. Jeff's incredible listening skills combined with his intuitive nature and positive energy brings a breath of fresh air to any challenge you have relating to people, culture or taking your business to the next level. Asking questions can create action, but being able to ask the right question will inspire. Jeff's uncanny ability to see the forest in spite of the trees is sure to be an asset to your business." "Jeff Nischwitz presented to 30 Lake Health Foundation Trustees at our Annual Retreat. His manner and message were engaging – spot on for our mission driven organization. 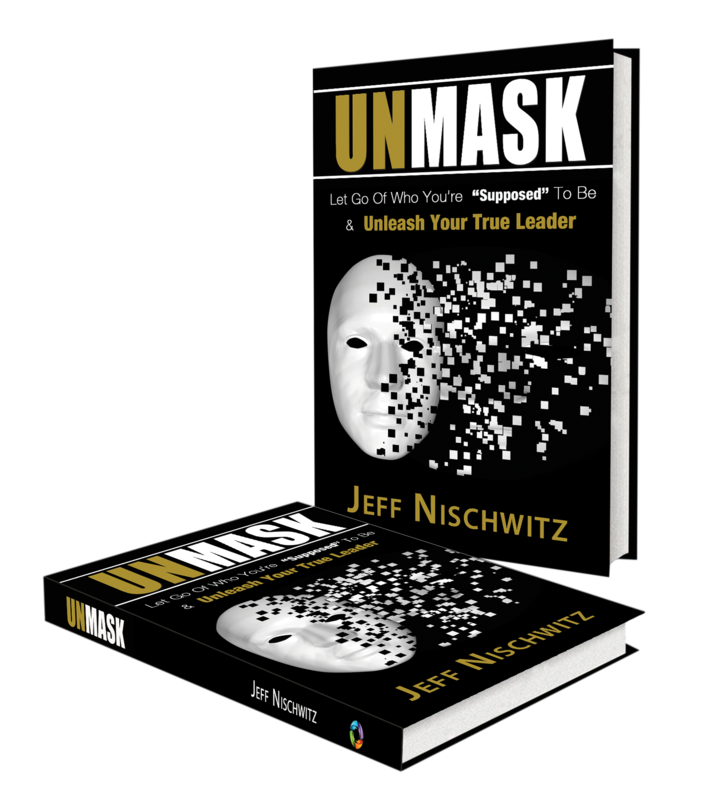 Having recently completed a Strategic Plan update, Jeff Nischwitz provided inspiration and motivation so that we can better tell our story in 2012 and beyond – building one relationship at a time." Mary Biacsi, Zoller|Biacsi Co., L.P.A. "Every time I have heard Jeff Nischwitz speak, I have come away mindful that authenticity is a powerful communication tool. He inspired me to try something new by revealing a secret about myself to an audience last week. The results were incredible and it may have been the best presentation I ever gave. Yes, I too have been "Jeffed" and look forward to more." Hal Becker, National Speaker & President, The Becker Group, Inc.
"Jeff confirmed – with passion, conviction, experience, and real life examples – the more honest, vulnerable, and authentic we are in all aspects of our life – the more successful and happy we will be in ALL ASPECTS OF OUR LIFE! 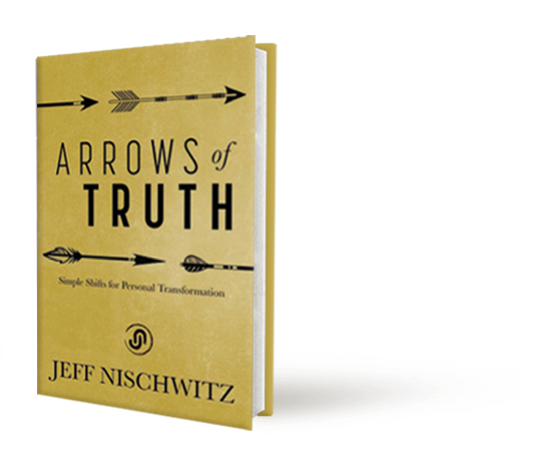 While Jeff may be billed as a business guru, his presentations are an invitation and inspiration to transform your life."